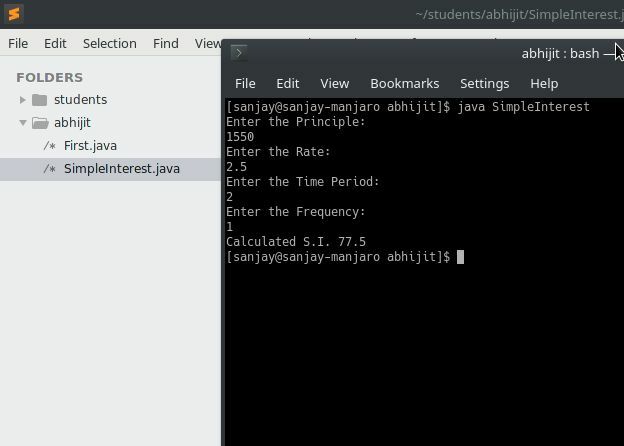 Today I am going to use Java to make a command line application called Simple Interest Calculator with working example. Code was written by my Student Abhijit [doing Bsc (Computer science)]. where P= Principle, R=Rate (Annual) ,T= Time Period, N= Frequency of calculation in one year.